Elephant supported the local community by donating its new Chakki Gold to Langar week, which aims to highlight the uniquely Sikh concept of Langar: free vegetarian food for all, regardless of faith, gender, age or status. Although Langar runs regularly in most Gudwaras, Langar week was established to make the wider non-Sikh community aware that Gudwaras are places that anyone can go to for free food with no expectations or stigma attached. 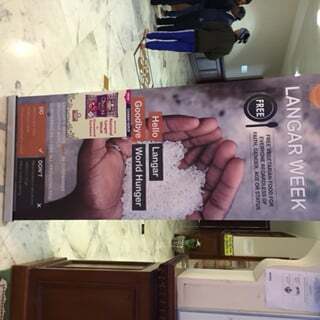 Langar week took place between 5th and 11th October, and events took places across India, USA, Canada, Malaysia and the UK. Elephant donated its new Chakki Gold – stoneground, authentic chapatti flour – to the Guru Nanak Darbar Gurwara in Gravesend (the largest Gudwara in Europe) enabling 30,000 servings of food over the course of the week. Elephant has built a strong connection with the temple over recent years, and are proud to be able to support this key event.